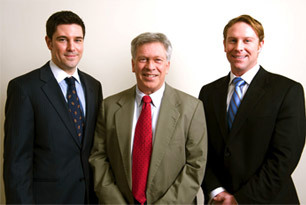 The Gatto Agency has been a fixture in the Needham business community for over 60 years! We are a family owned and operated real estate and insurance agency specializing in a high level of customer service and a true dedication to our long-standing relationships with our clients. We are a full service residential real estate brokerage, having brought hundreds of buyers and sellers together over the past six decades. Our company also writes insurance policies that are custom-fit to our customers needs, including Homeowners, Auto, Personal Umbrella and Commercial policies. Our mission is simple. It is captured in the phrase that our founder, Victor E. Gatto Sr., coined back in 1948 and it still still guides our company today. We truly want our customers to know that we are, "Dedicated to deserving your trust." We feel that maintaining personal relationships and ensuring high levels of customer satisfaction is the key to our mutual success, and we strive to provide excellent advice and service each and every day.